Format: Audiobook; 6 hrs, 58 min. I used to think the end of the world meant the end of everything. Now I know it just means the end of civilization. Stephen Quinn has never known government or society, he was born into a world thrown into chaos and decay by a costly war and the release of a deadly virus known as P11. P11, or the eleventh plague was dropped on the United States by the Chinese, who now control the lands west of the Rocky Mountains while the few survivors in the east subsist by salvage, slave trade, or other unsavory professions. To the Quinn family, the only way to survive is to keep moving, but when Stephen’s grandfather dies and his father endures potentially fatal wounds, they are for the first time in his life forced to stop moving. Stephen and his father are taken in by the small subsistence community of Settler’s Landing, but he knows from the start that he’s not completely welcome. Dan Bittner’s narration of The Eleventh Plague by Jeff Hirsch, while not enough to make him a must listen narrator for me, is solid, well-done, and a certain boon to the book itself. I had seen several ‘meh’ reactions to this audio before tuning in, and I’m not sure if it was my lowered expectations, or the fact that I was very ‘meh’ about my own previous listen (Fever 1793), but I found myself much more easily drawn in and wrapped up in the story of The Eleventh Plague than I anticipated. I love that Hirsch plops us down in a time after the so-called apocalypse has already occurred, but not so long after that it’s not remembered or healed. In my experience, this is a fairly unique standpoint, and reminded me a bit of Margaret Atwood’s The Handmaid’s Tale, which also takes place in a generation that can remember what society was like before. Stephen’s parents and grandfather were there for the release of P11 and the war, they experienced it all, and loved each other enough to bring a child into such a world regardless of the dangers. Stephen has never known any life other than that of a salvager, traveling from Canada to Florida on yearly trade routes, never taking the same path and never getting involved with the plights of others. When he and his father are brought into the community of Settler’s Landing, Stephen is like a skittish animal, unwilling to believe that he’s not up for slaughter. He’s never seen houses in use, slept on a real bed, or eaten three square meals a day. He has had notions and importance of family drilled into his head, but suddenly those definitions are challenged, and the concept of friends is also introduced. I felt that Hirsch did an excellent job of letting us into Stephen’s head during these foreign experiences, and the reactions of the people of Settler’s Landing, both welcoming and aggressive, seemed very real in the world’s current state. The issue, however, was that I kept waiting for the real story to start–and then realized too late that this was it. When the book trailer has a tag line like “The only way to survive is to keep moving”, I expected Stephen to do just that. I expected he and Jenny to take off and survive on their own–I expected a survival story in general. This wasn’t really it. The Eleventh Plague certainly is a story of survival, but differently than I had anticipated (and kind of desired). It was more about the survival of civilized society and building the future than a more primitive sense of the word. I also didn’t really feel the relationship between Stephen and Jenny. Something about the pacing of it just seemed…off. He’s instantly interested in her, but in a ‘she’s different’ kind of way, not a romantic kind of way. Jenny is constantly causing and getting into trouble, much of which is in her own defense, but her reactions constantly escalate matters. I felt as if there was no real development between the two of them, which would have been fine if it had been a more physical relationship, but it seemed suddenly as if Stephen didn’t want to live without this girl that was destroying the lives of everyone around her. As much as we got to be in Stephen’s head, I didn’t understand Jenny’s thought process at all. She seemed like your classic angry teen, but I couldn’t help being shocked that nobody ever screamed at her “You don’t know how good you have it!” She wants nothing more than to break free of Settler’s Landing, but as someone of Chinese decent, the outside world would be ten times more dangerous to her as the ‘enemy’ than it was to Stephen and his family. This is never addressed, and that surprised me. Some of the adults made little sense to me as well. I’ve never known any teacher who would give only half the participants in a fight detention, but maybe that’s just me. These issues aside (the first of which I recognize is completely my own fault for my mindset prior to listening), I did enjoy listening to The Eleventh Plague. 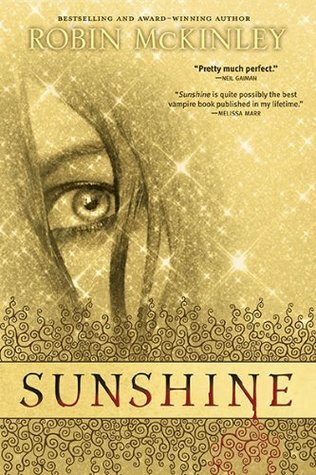 I appreciate it so much when this type of book exists as a stand alone, and always enjoy a good male point of view, which I feel Jeff Hirsch provided through the character Stephen. I loved that in a world that had fallen apart, the past and the future were coming together and blurring the lines between them to form the present. The Eleventh Plague is a haunting reflection on what a future of biochemical weapons could hold, how easily we fall apart, and what it takes to come together. It does, at times, get a bit frying pan heavy with the message, but not so much that I was knocked on the floor, and I did like the book as a whole. Likelihood that I’ll be back for more: I was lucky enough to pick up an ARC of Magisterium at BEA, and am pretty pumped to read it–sounds awesome! I also enjoyed the narration enough, that with the coaxing of Sash (Sash & Em) I am convinced to listen to Where She Went by Gayle Forman. 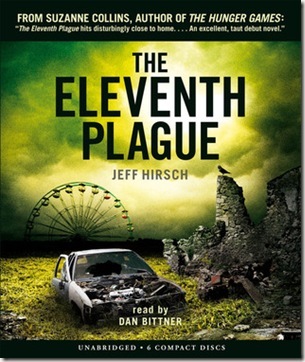 Recommended for: Anyone who enjoys post apocalyptic books, a different sort of survival story; I do feel The Eleventh Plague was made stronger through Dan Bittner’s narration, and recommend the audiobook in particular. Ok, this is interesting. Most of what I’ve read about this book is not so encouraging and that always made me sad for two reasons: 1) I really like the sound of this book and 2) I really like the cover of this book. I’m happy that you were able to see some good in it even though there were some things you thought could have been tweaked just a little bit. I still think that eventually I’ll get around to it. I think your thoughts will help me be more open-minded to this book than I would have initially been. I love apocalyptic books SO MUCH but in YA they are often all very similar. AND Magisterium looks fun. I can’t wait to dig into that one too. That cover is crazy! Honestly I didn’t get why so many people were so MEH about this one, Asheley. It had its weak points, but was good overall, I liked it. 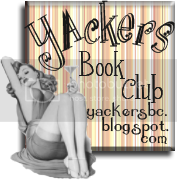 You should read Thea’s review at The Booksmugglers, she liked it as well. “The issue, however, was that I kept waiting for the real story to start–and then realized too late that this was it.” This. 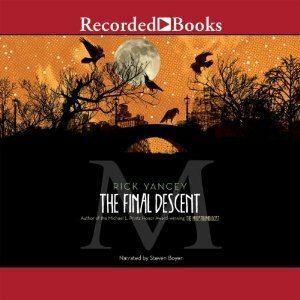 I didn’t strictly dislike the audiobook but it didn’t do much for me. I actually quite enjoyed listening to both the narration and the story but there just wasn’t enough substance and plot to make me rate it more than 2 or 3 stars. (I forget what I picked) I think my favorite part was the section up until Settler’s Landing. I’d still read more by Hirsch, though. Hope his new one is great! Yeah, I gave this one 3 stars. I liked it more than I thought, but…yeah, it just never seemed to go anywhere. I am excited for Magisterium though! Oy. I hate when I end up waiting the entire story for it to begin. I have this one on my shelf because I won it in a giveaway, but I’m thinking I’ll just let it sit there for a while. Lol. I did like it more than most people have, but yes, it was certainly not the story I was looking for.